It is Finally Here: ICT in Serbia – At a Glance – 2018! Hello everyone! If you happen to be in Belgrade this Thursday, May 31 – drop by at Serbian Chamber of Commerce premises in Resavska 15, Hall IV, and grab your free copy of this coveted publication. Below, I give you entire foreword of this publication. Once you have your copy, please send feedback – it will be highly appreciated! “You journalists should pay more attention to what is going on. Everyone is writing about Serbian export of raspberries as a huge national success, and nobody knows that we export more software than raspberries.” It was in the early 2011 that yours truly has exasperatedly said this to a journalist on the margins of the DanubeIT Conference in Novi Sad. The very next day, there was this big headline: “SERBIA EXPORTS MORE SOFTWARE THAN RASPBERRIES!” and raspberries have been fused to software topics in media ever since. In the previous edition of this study two years ago, we wrote about the advancement of the Serbian IT industry and its steady growth. Ever since, this trend has maintained a double-digit growth year-on-year and, for the first time ever, in 2017 the Serbian export of IT services is larger than the export of maize. This came as no surprise to the IT businesses, but it really shook things around in Serbia. However, it means different things to different audiences. For young generations, this trend is a confirmation of their interest in new technologies and an additional incentive to focus on this field, enroll IT and related studies, think up startups, learn and evolve. 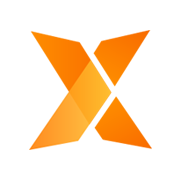 The number of developers’ communities has increased significantly, and they organize meetups and conferences, bring them up to date with the latest development in their special fields, share experience and excel. For traditional businesses, it is the wake-up call. Modernizing small and medium enterprises – the major contributors to GDP, tax revenues, and employment – is a “make or break” challenge. Those who boldly jump on the bandwagon of digitization and use opportunities of automation, e-commerce as well as the global marketing opportunities, will not only survive, but become the motor of economic progress. If we take a look at the IT investments per capita, it is at €62 in Serbia – a mere fraction of the EU average of €800. This figure is an important indicator of general implementation of standards and new technologies in any country. As such, it shows that much more has to be done in Serbia to push economic and every other development forward. This is a huge challenge for the Government, but also an opportunity. Current activities would suggest that the authorities are doing their best to respond to this challenge and use that opportunity: Serbia has gotten a young Prime Minister, knowledgeable and close to the IT sector throughout her career – and for the first time ever, a Serbian Prime Minister has devoted a significant part of inauguration exposé to IT-related topics. A new inter-ministerial body – Ministerial Council for IT and Innovative Entrepreneurship has published the Plan of Priority Goals and Activities of All Governmental Bodies and Services for the Advancement of the IT Sector in Serbia in 2018, Science and Tech Park in Belgrade has started to operate, while several are being constructed in other cities. Our feeling is, however, that a well-defined vision for the role of IT in general socio-economic development is still missing. Also, concrete decision that would declare, loud and clear, future actions and targeted outcomes is painfully lacking. For many IT companies, this growth meant enlargement and corporatization. The major trend is moving away from the general outsourcing. The cause for this trend stems from a chronic lack of IT skills in the labor market, which slowly but surely drives the salaries up, turning companies away from lower-paying contracts and toward specialization and/or niche markets/clients in order to maintain their ability to afford IT skills and still secure profit. More than 2,000 IT startups were founded in 2017, which indicates to a greater interest and courage to plunge into entrepreneurship – despite the fact that there is still a very week eco-system of support for entrepreneurship in the country. Many of the local IT companies joined and incentivized this trend by either spinning off new companies or investing in new startups. We would argue that more visibility of IT business in general, rise of profits that IT companies diverted into startups, and well-known success stories, significantly contributed to this trend. Vojvodina ICT Cluster is in its eighth year of operation, and in the previous couple of years we worked a lot on bringing IT to other sectors – showing the way in which IT could transform businesses. We used EU funds to help connecting IT and agriculture in two projects: FRACTALS and KATANA. For foreign investors and IT companies coming to Serbia, there are some great opportunities for takeover, merger and b2b cooperation. Outsourcing to Serbia has been popular for years now and, as local companies grew and matured over time, opportunities to extend this cooperation were used for JVs, joint research and mergers. Many local companies used these opportunities to corporatize and learn from the already established partnerships, bringing them to the next level. Our long-term goal of Serbia as the prime choice for development of sophisticated software and the hotbed of regional IT is still very much in the focus. We continue to join forces with other players and in 2018 the existing Strategic partnership of Serbian IT Clusters has been expanded to six clusters: Vojvodina ICT Cluster, ICT Network, NiCAT, ICT Cluster of Central Serbia, Subotica IT Cluster, and Zrenjanin ICT Cluster. The Serbian IT clusters have become more active on the international markets too, and in 2017 presided over the Balkan & Black Sea ICT Cluster Network. 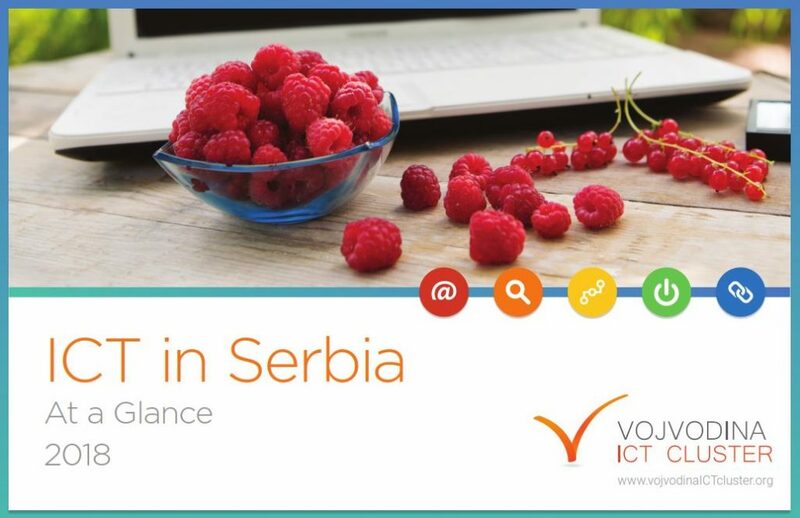 This study should give you a good overview of the Serbian ICT. Whether you are an investor or a scholar, a businessperson or a student – we hope you find this study useful. Please, feel free to contact us for more information and consultations One-On-One. Serbia is one of the top three global exporters of raspberries, and definitely the top one in terms of quality of that berry. See The Mission Manifesto at www.vojvodinaictcluster.org/mission_manifesto/. General outsourcing here means accepting any job/project that comes along, claiming your company is able to answer to requirements in an array of diversified business areas and/or IT platforms.